This product is adapted to the needs of laboratories as well as research and development centers. Easily moveable on a bench, its compacity makes it the perfect tool to experiment simply. 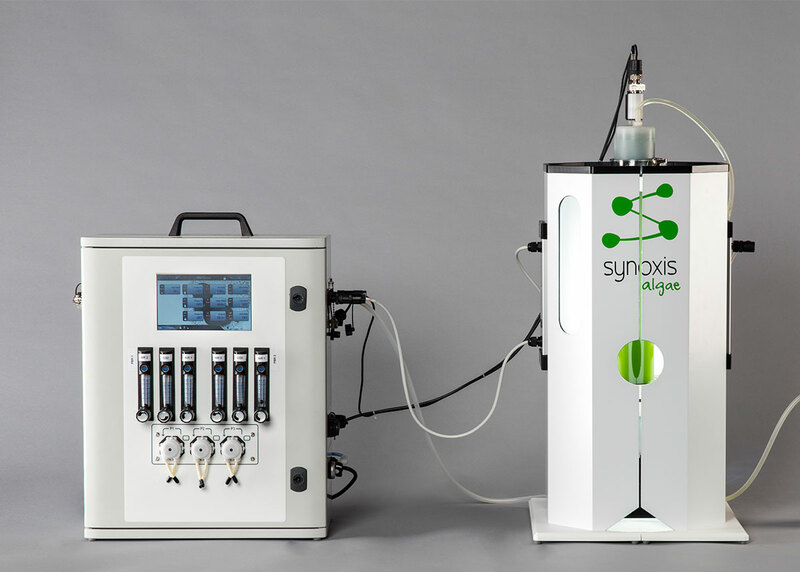 This photobioreactor offers a batch, a semi-continuous or a continuous mode. 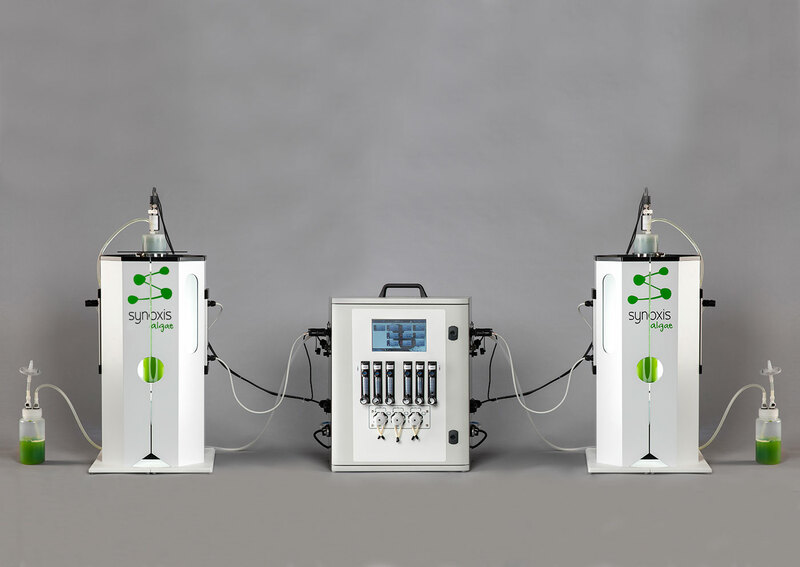 Thanks to our photobioreactor NANO, you will be able to control the pH, the agitation, the temperature as well as the liquids and incoming gases. You will also be able to regulate light intensity and to program it to create photoperiods. The culture’s data will be visible on the screen and you will be able to set up email alerts to be warn of any unusual culture parameters (ex: pH too high, temperature too low…). In order to follow your culture’s evolution, you can collect the data of your photobioreactor NANO. We prefer to warn you: do not be fooled by its small size (3L). Thanks to our SALT technology, NANO optimizes the growth of microalgae and achieves very high performances. It is the ideal association between compacity and performance. Because the more NANO you have in your lab the happier you will be, you can acquire the extended version (two 3-litre cultivation chambers on the same control system). You can lead two different studies on the same system. 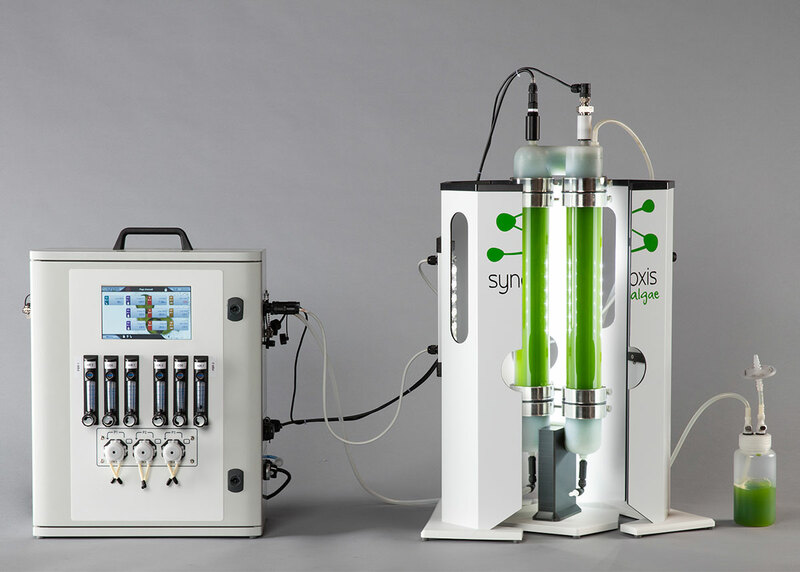 The extended version of our photobioreactor NANO also allows to lead comparative studies on the same microalgae strain. For example, you can test the cultivation of the same spirulina strain with two different pH: one at 10 and the other one at 3. We are not saying it is a good idea! #biologistjoke But this is what is interesting about NANO: it is up to you to try. Find out also about LUCY and JUMBO, our two other new generation photobioreactors.